The ultimate seaside getaway, Plettenberg Bay offers a multitude of varied and unique experiences for all ages. As a destination it boasts a year-round temperate climate, beautiful beaches and unrivalled scenery, as well as a culture of conservation, living history, annual events and festivals, and a flourishing creative community. If you’re after local arts and crafts, pay a visit to Old Nick Village. The Plettenberg is located within walking distance of the Lookout Art Gallery. Established in 1974, its collection of art (from ceramics to paintings) focuses on the Southern Cape and South Africa. Visitors can also get to the heart of Plett’s art community at Old Nick Village, a network of restored heritage buildings set in lush, indigenous gardens and housing resident fine artists and master craftsmen. Find local design, entertainment and so much more. Traveller’s tip: Another interesting creative cultural excursion is to Global Village, a quaint shopping village filled with arts and crafts purveyors to discover. The whole family will love it. Families will also enjoy Adventure Land in Harkerville, with activities ranging from waterslides to quad bikes. 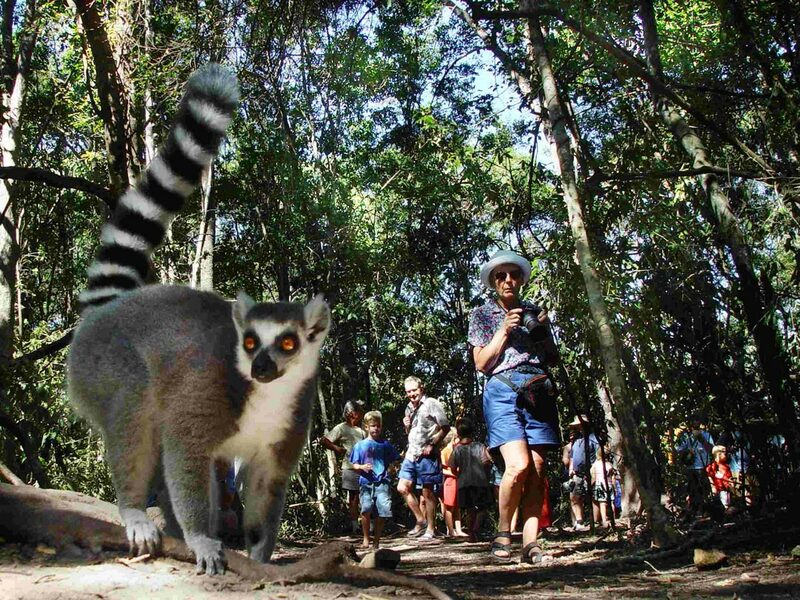 Another must-visit is the Plett Puzzle Park, with its life-size 3D maze – a forest puzzle walk that meanders through the natural forest, and a rope maze for the kids. Plettenberg Bay’s rich eco-systems support many kinds of creatures, big and small – which is why much emphasis is placed on conservation. There are a number of parks offering one-of-a-kind encounters with wildlife. One of the most famous is Monkeyland, a sanctuary for various species of free-roaming monkeys; visitors can join them in the forest on a ‘monkey safari’. Located next door is Birds of Eden, which is said to be the largest free-flight aviary in the world picture an indigenous forest with waterfalls and elevated walkways. At the Elephant Sanctuary visitors can touch, feed as well as walk with African elephants. There are many such experiences, with some including birds of prey, snakes, wolves and more. With its beautiful backdrop and efficient infrastructure, Plettenberg Bay hosts many annual festivals and events; look out for regular concerts, too. Some of the highlights on the calendar include the Tour de Plett, the Whale Rally, the Plett Fringe Festival and, most recently, the Plett Food Film Festival.